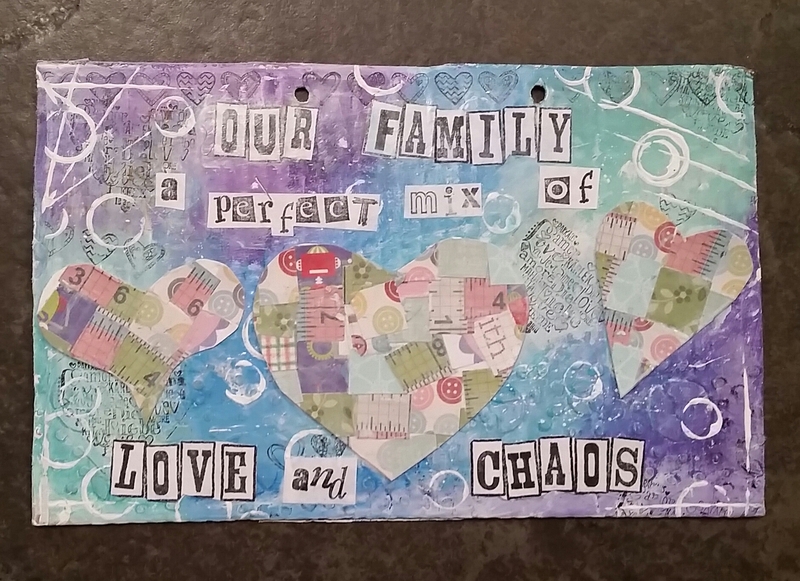 Tonight’s art journalling session theme is Family. A lovely topic to journal about and lots of ideas around for what could be used as a quote or image. 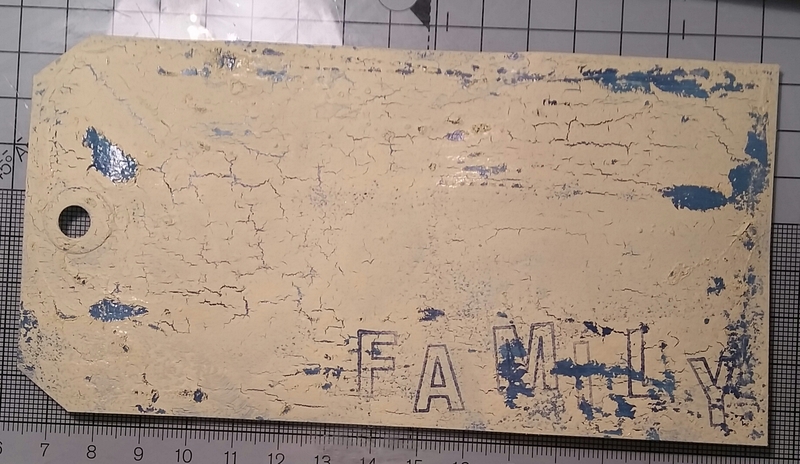 I decided for my sample tag to go down the technique route first as I wanted another go at crackle glaze as Darcy had taught us in Edinburgh and I hadn’t got round to trying again since. 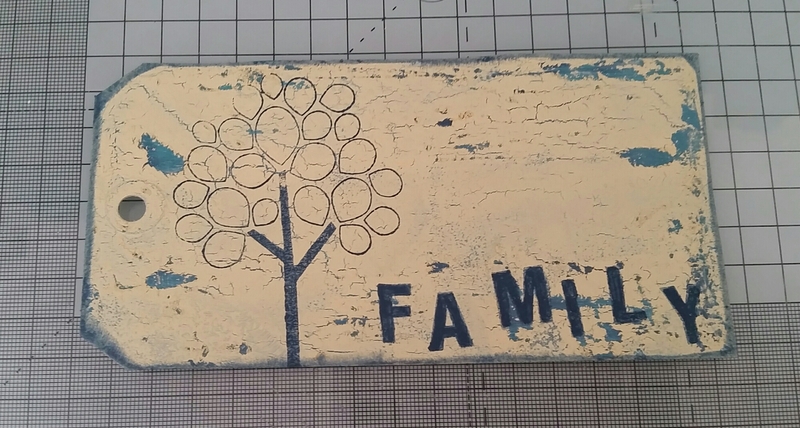 I also used the outline alphabet to stamp the word family in paint along the side of the tag. Once it was dry I then filled in the letters with a fine paint brush and the same paint so they would stand out more. 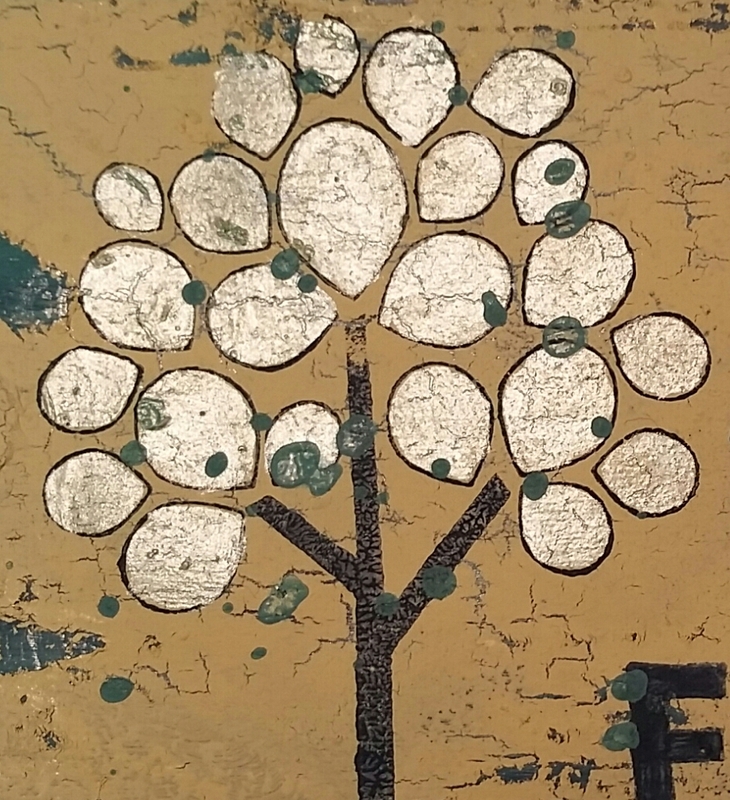 Next I took a Unity stamp which is a tree I love but rarely use. 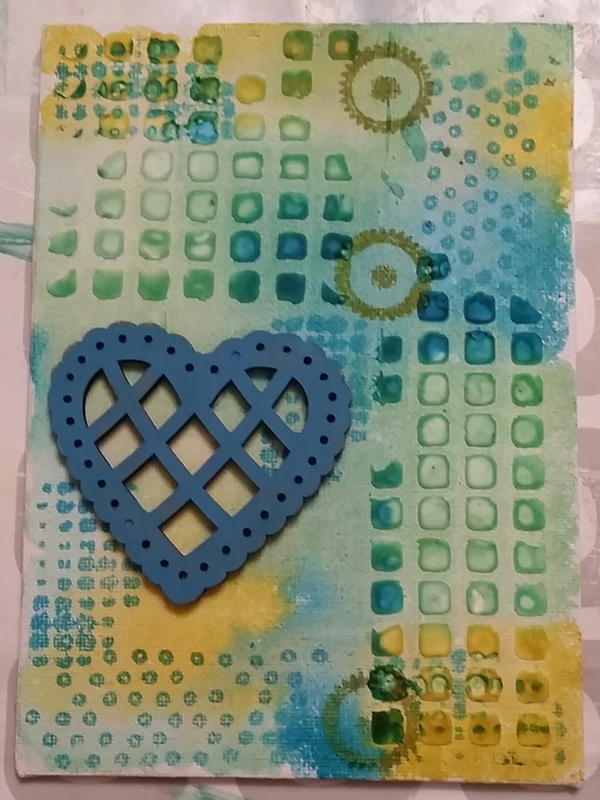 I stamped this also using the Baltic Blue paint. I also added the Baltic Blue to the edge of the tag. Then I took a pearl paint and carefully painted each of the leaves. This provided a lovely translucent pearl effect to the leaves. I also did a little splatter of the Bora Bora over the top as a finish and edged the tag again using the pearl paint on some cut and dry foam. Absolutely love this effect of the crackle and the pearlescent paint. It looks fabulous. 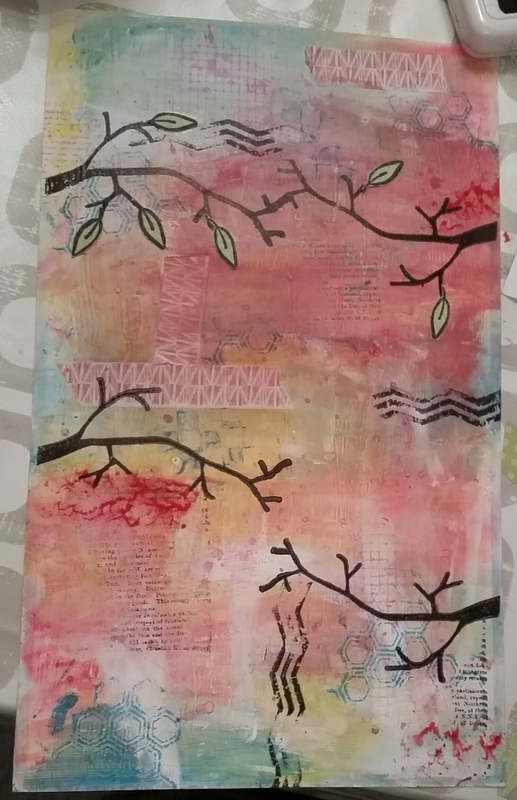 In addition to this as a sample I also had a journal page I will share with you another time as it was started as part of the Use them or lose them challenges so it’s scheduled for in a week or so. 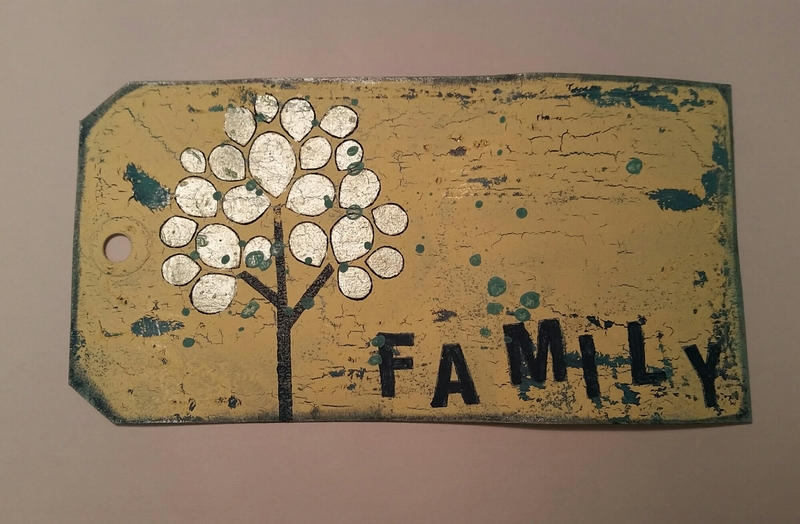 Plus a canvas I made a few years ago which was themed family. Looking forward to seeing how others interpret this challenge. Later update… well it was a lovely night and we all made some brilliant pieces. Mo made this fab canvas. Karen got some amazing colour onto her page and now has a lot of leaves to cut out and stick on! 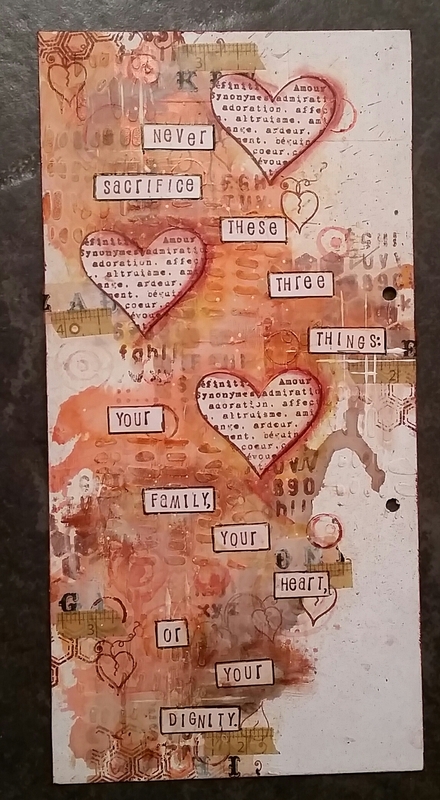 Kathie made this page … loving the quote and the patchwork hearts she made. 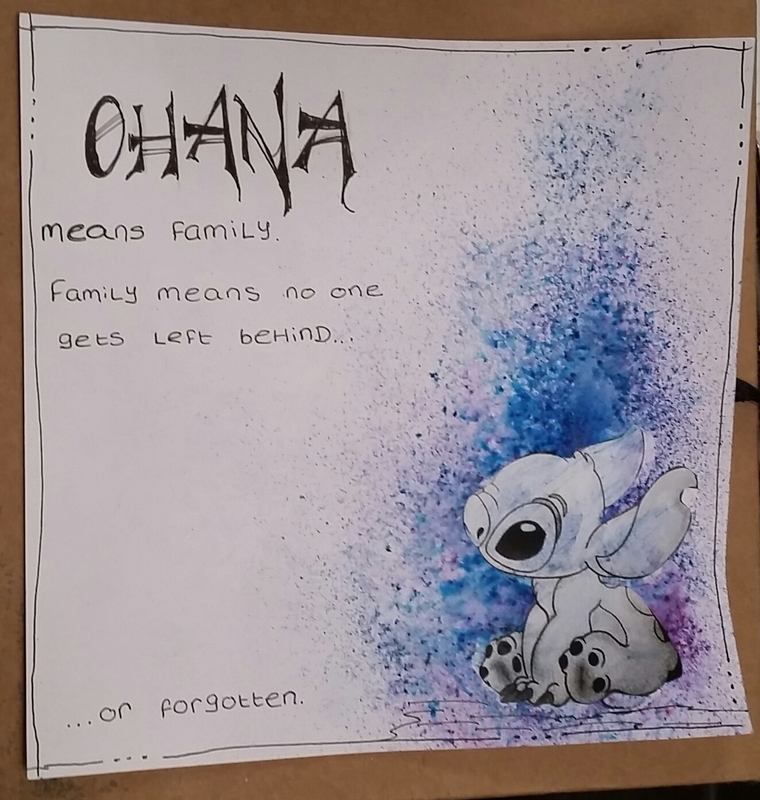 Kathie also did this lovely Brusho piece and look at the hand lettering! 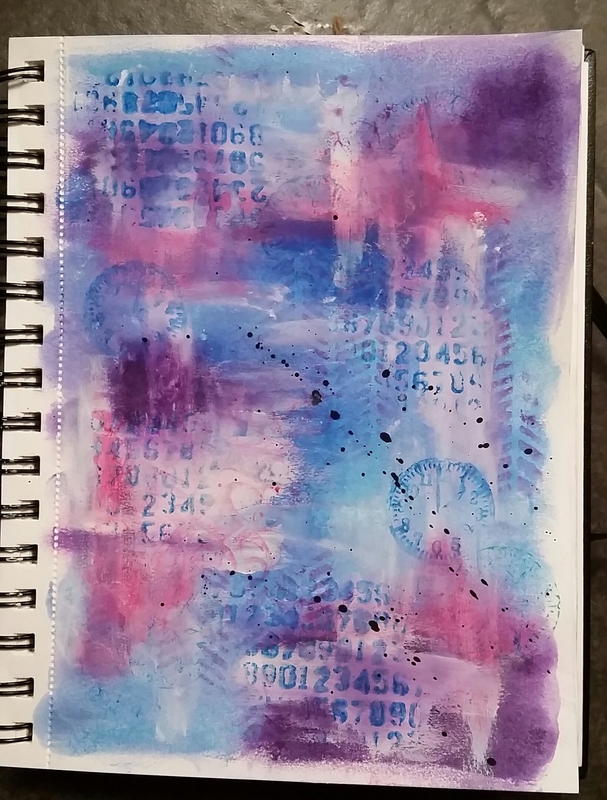 I made this page for my junk journal. Love the watery background and despite my usual method of covering the entire space in colour I attempted to level some white space! I also did this background demonstrating gelatos for Karen. So a lovely night, plus a quick visit from Mara in the midst of it all. Just need to do some serious tidying up tomorrow! This was only this table…. the other table and some stools are also covered in stuff! Oops! Ah well it shows we worked hard (and snacked hard thanks to Dave supplying the snacks! ).